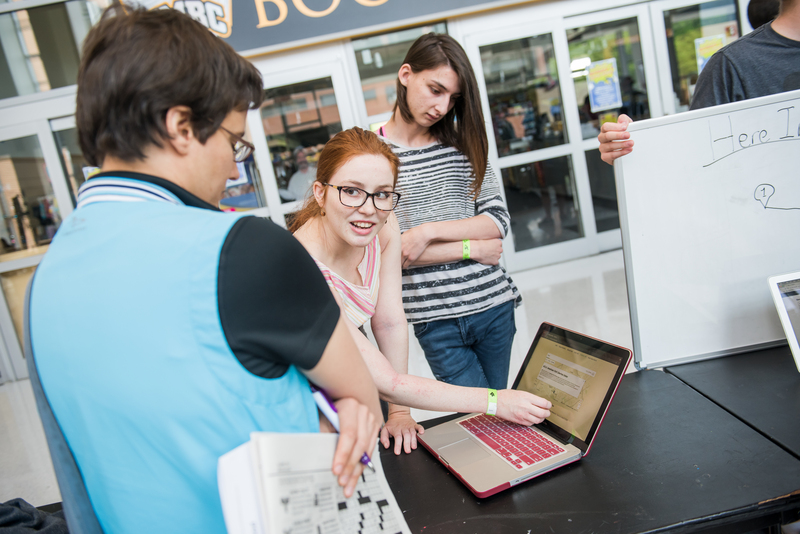 Ahead of final exams this spring, nearly 200 students gathered at UMBC for “Innovate Good,” a hackathon co-hosted by HackUMBC and The Shriver Center, UMBC’s hub for service-learning, civic engagement, and community-based service delivery. During the 24-hour tech innovation marathon, students collaborated to build mobile, web, and hardware projects focused on solving problems and creating positive social outcomes. Four overarching categories inspired participants in their tech development: health and environment, housing, legal and justice, and education. Students presenting their hacks at the “Innovate Good” hackathon. Rick Forno, assistant director for UMBC’s Center for Cybersecurity and director of the Cybersecurity Graduate Program, serves as faculty advisor of the HackUMBC student organization. “Hackathons like HackUMBC are diverse, high-energy events that bring together novices, experts, and mentors to share and apply their knowledge, skills, and personal enthusiasm toward exploring the world of technology and/or developing innovative solutions with technology,” he says. He was delighted at the success of this first themed HackUMBC event in bringing together participants with diverse interests, experiences, and perspectives. An “expo” portion toward the end of the event gave participants an the opportunity to share the hacks that they developed with their peers and receive feedback from faculty judges. “It’s our hope that each participant walked away with new skill sets and a deepened interest in using their talents to make an impact in their community,” says Schmitz. 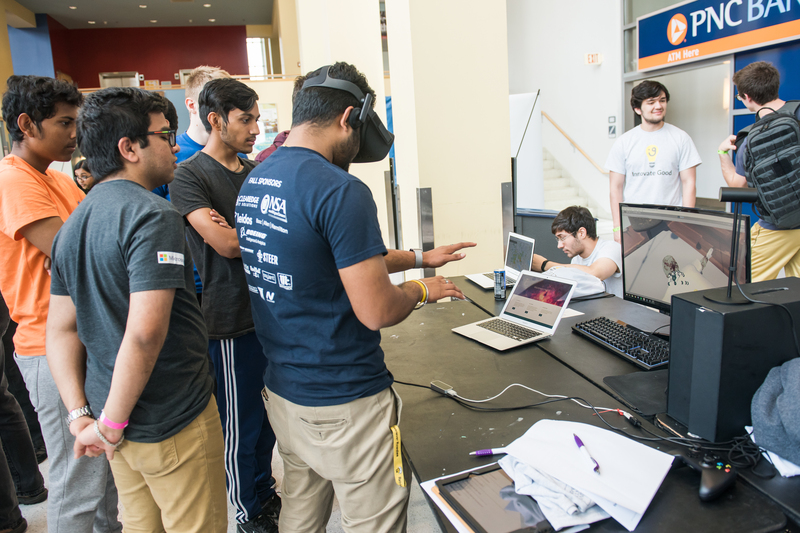 For more information about upcoming hackathons at UMBC, visit the HackUMBC website. Header image: Students presenting their hacks at the “expo” portion of the hackathon. All photos by Marlayna Demond ’11 for UMBC.